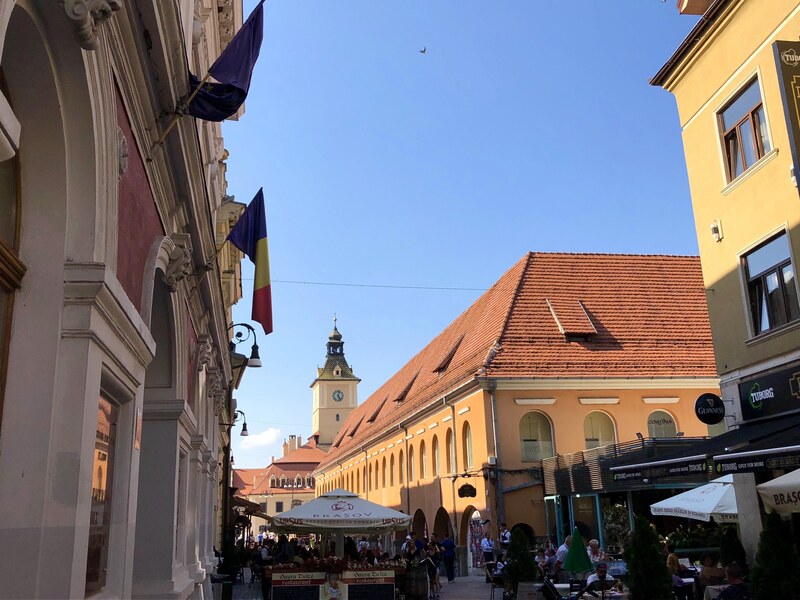 Brasov, Romania, is a cute and cozy getaway in the region of Transylvania, about a 2-3 hour drive from Bucharest (depending on the traffic, as the roads are not always so reliable). 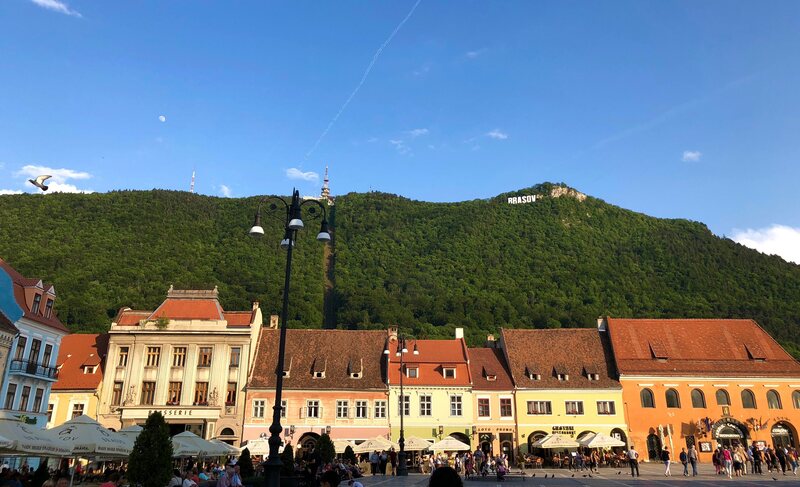 You can cover the city’s main sights in a day: highlights include going up the cable car to the Brasov sign on Mount Tampa, exploring the Black Church, and wandering down Rope Street, the narrowest street in Romania. 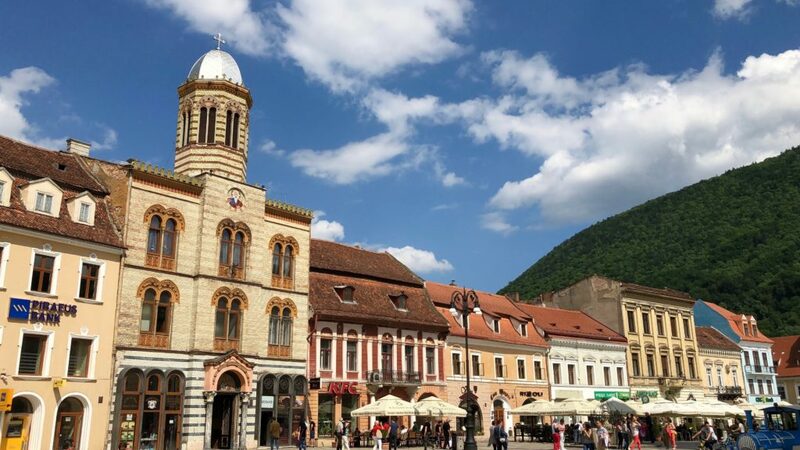 You can also use Brasov as a base to hit up other popular sights in the region, like Peles Castle or Bran Castle (aka Dracula’s castle aka kind of a tourist trap). 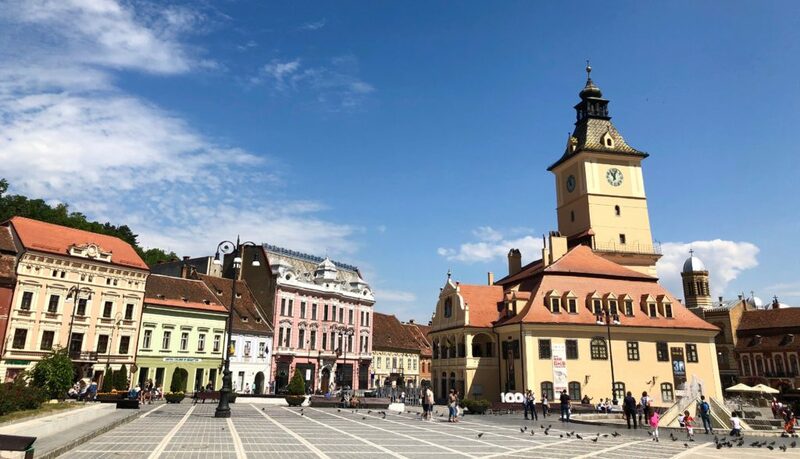 The historic center of Brasov offers a variety of delicious eateries to choose from, so you can take your pick. 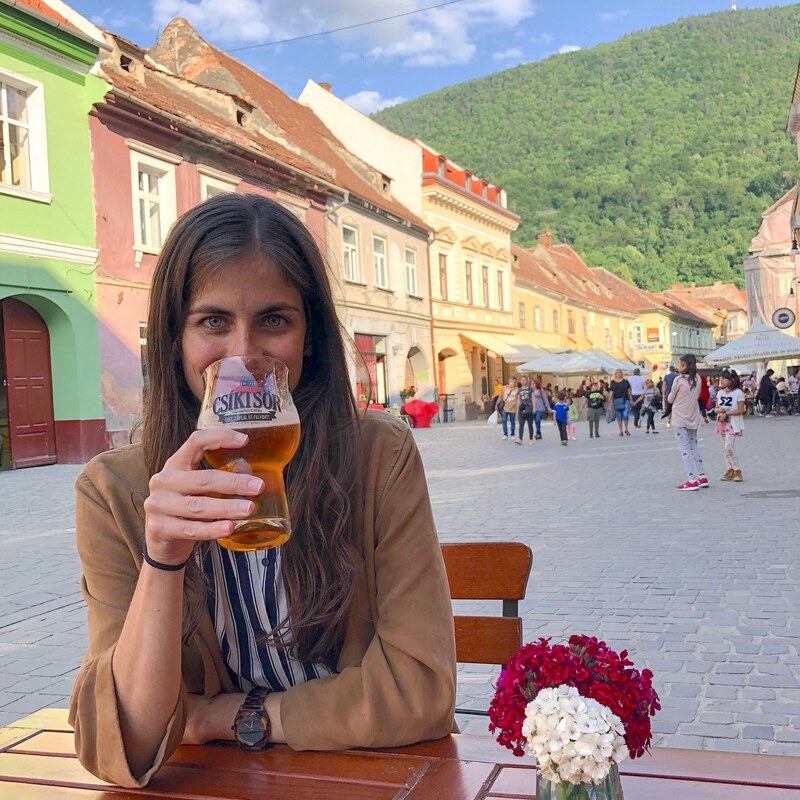 Here are my recommendations for where to eat in Brasov! Sergiana. We very much enjoyed our hearty Romanian lunch at Sergiana during our time in Brasov. We came in hungry, so the complimentary fried pork belly (chicharrones for my Spanish and Cuban peeps) was the perfect start to the meal. I ordered my favorite tripe soup – a Romanian speciality that I suggest trying even if you’re not a tripe lover like me (see my other tripe recs for Bucharest and China because I’m ’bout it.) Pepe ordered his beloved traditional Romanian pork knuckle, and we both had a few beers. Our portions were generous and we filled up all for 93 lei, which translates to about $24. Yes, that was the grand total including tip. And yes, I felt like I committed the crime of robbery after eating here. Dei Frati. 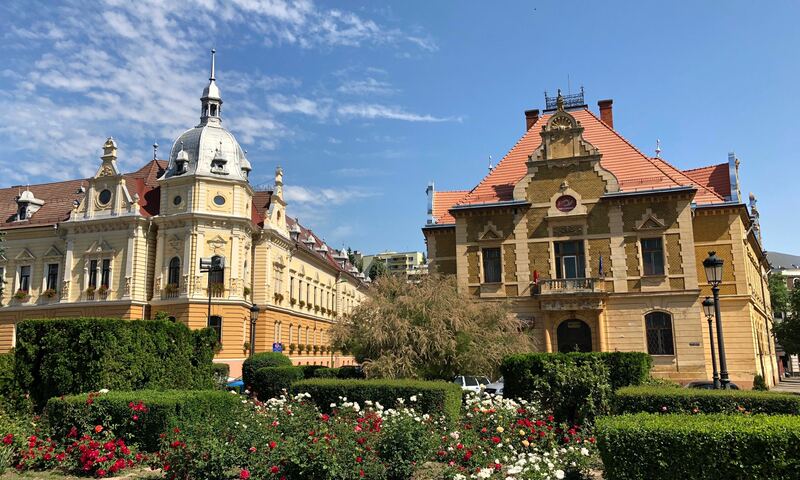 Dei Frati should be high on your list when considering where to eat in Brasov. This Italian restaurant is located in a cozy nook of town and has pleasant outdoor seating – kinda makes you feel like you’re in Italy. Dei Frati specializes in homemade pastas, so you have a variety to choose from. 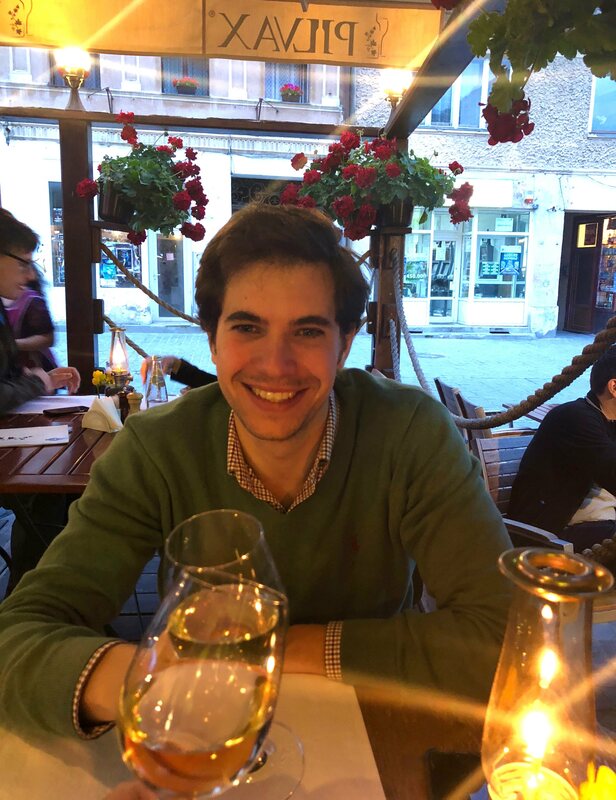 I ordered a tasty tagliatelle, but I highly recommend the risotto with seafood – I literally could not stop stealing from Pepe’s plate of this deliciousness #foodenvy. Bistro de l’Arte. 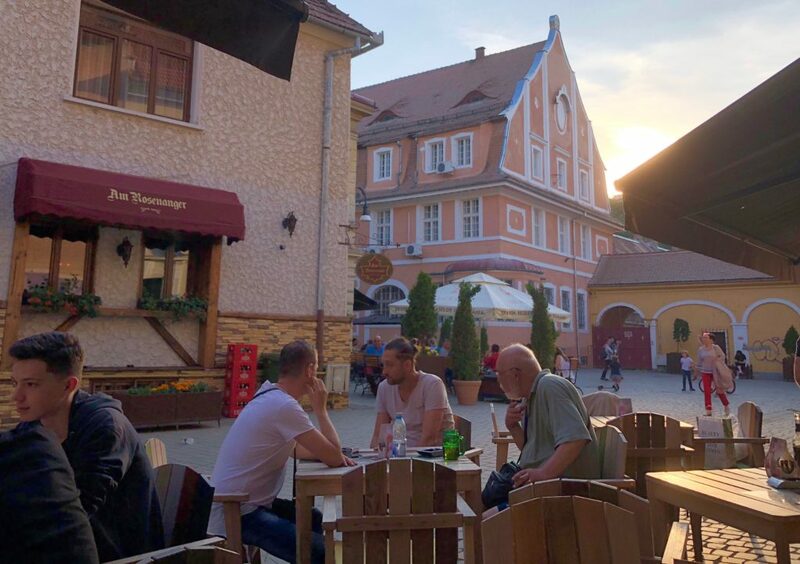 Bistro de l’Arte is a cozy place for dinner right in Piata George Enescu, my favorite little plaza in Brasov. The restaurant often has live music; the night we were there, a jazzy piano set the tone for dinner. To enjoy both the indoor and outdoor ambience, I recommend sitting inside next to the window. The Bistro Burger is a winner and comes with a load of fixins – I mean, who isn’t a sucker for a fried egg on their burger? Pilvax. 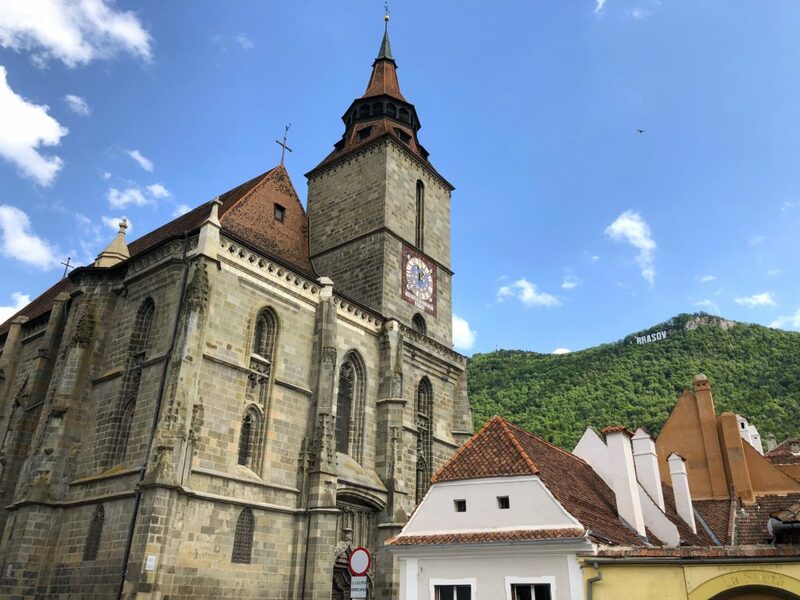 Transylvania was part of Hungary in some way or another for centuries, so it’s only normal to find traces of Hungarian influence throughout the region. 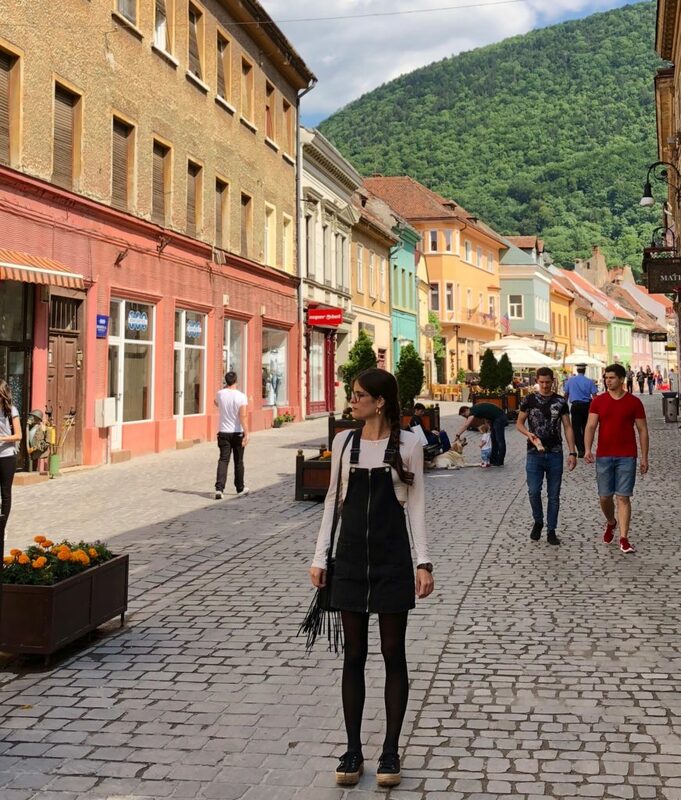 Enter Pilvax, a Hungarian/Transylvanian eatery that sits on my favorite street in Brasov, Strada Michael Weiss – PS: Many street names in Brasov are Germanic due to the historic presence of the Saxons. 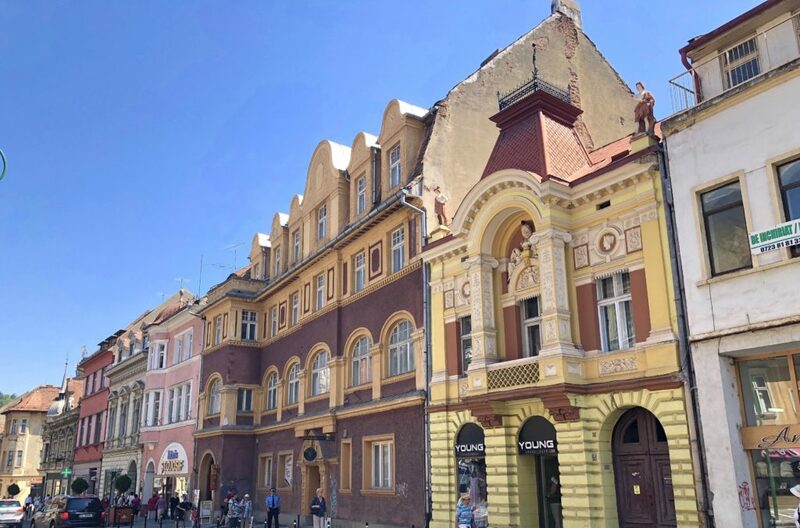 Picturesque Michael Weiss is lined with colorful facades and has a view of Mt. Tampa on the horizon (see the main pic for this post above). The staff at Pilvax is great: our gracious server explained their interesting selection of Hungarian and Romanian wines and let us try a few before pouring us generous glasses. 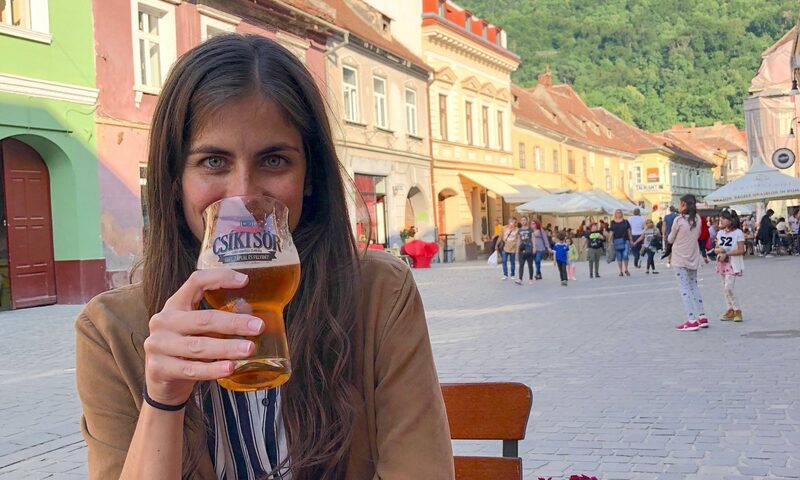 Wining and dining at Pilvax is a must while in Brasov! Opus 9. Opus 9 is a newly opened bar, also located in my favorite plaza in Brasov, Piata George Enescu. 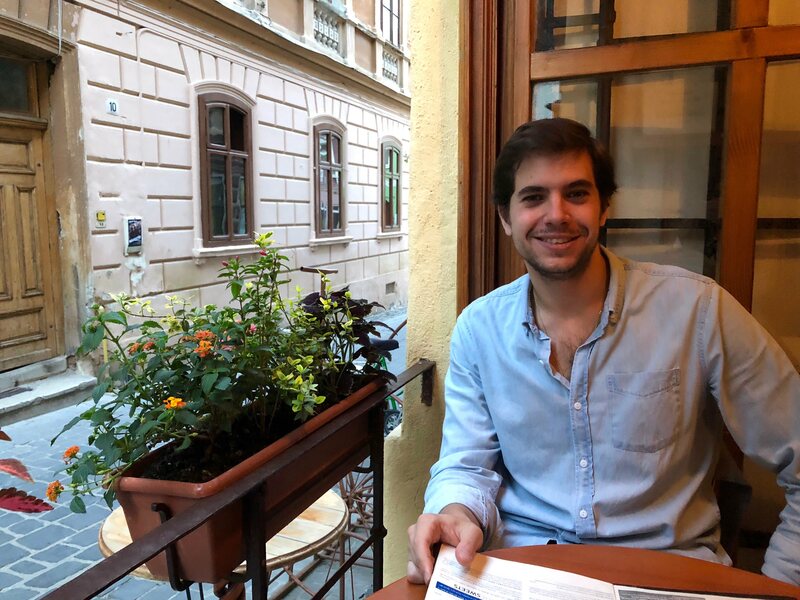 Sit outside in good weather for a nice view of the plaza and the setting sun, then head to Dei Frati or Bistro de l’Arte next door for dinner! Tekafe. 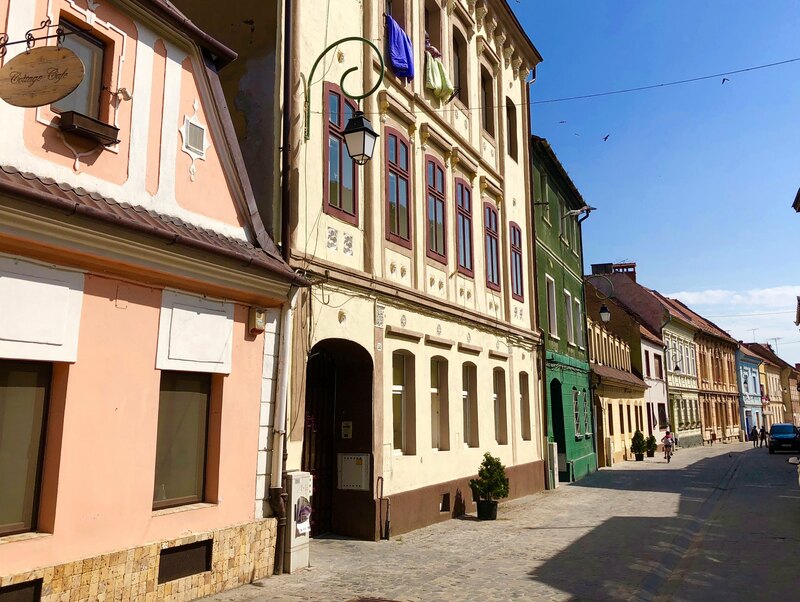 This cute, stylish coffee shop in the heart of Brasov was recently opened by a self-described coffee aficionado. The owner also works at the shop, making sure cappuccinos and cold brews are served to perfection. Tekafe also serves sweet snacks to accompany your coffee as well as Romanian craft beer. Sit outside to enjoy the terrace with a view of Mt. Tampa or get cozy inside with a book. Gratar de Munte. 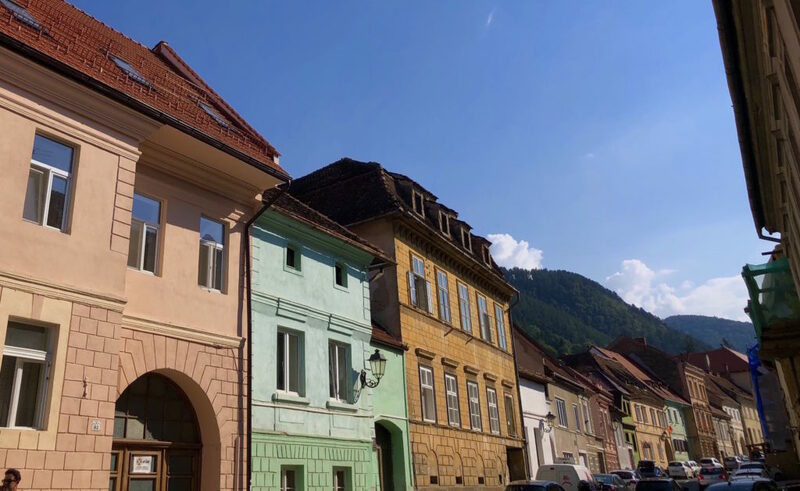 Gratar de Munte sits on a quaint street in Brasov; I recommend sitting outside to start your day with a cappuccino and a view of the colorful facades. Our server was extraordinarily friendly – he made a point of serving us with pleasure and thanked us numerous times for our visit. I loved our weekend in Brasov and I can’t wait to go back to eat and drink at these places again! 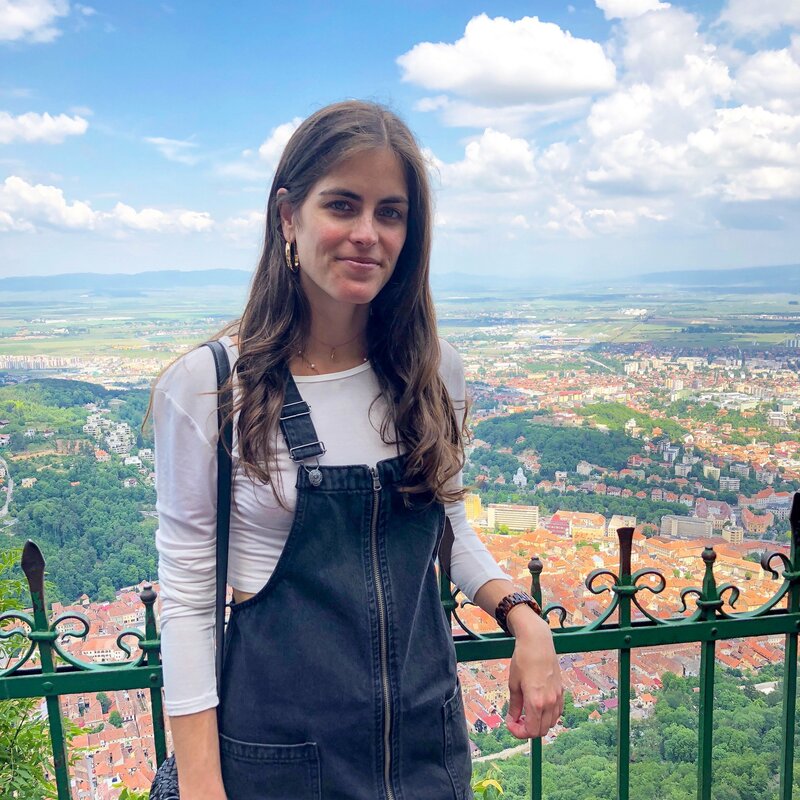 Let me know if you have any questions about where to eat in Brasov! Enjoying dinner at cozy Bistro de l’Arte – bring on the burg! 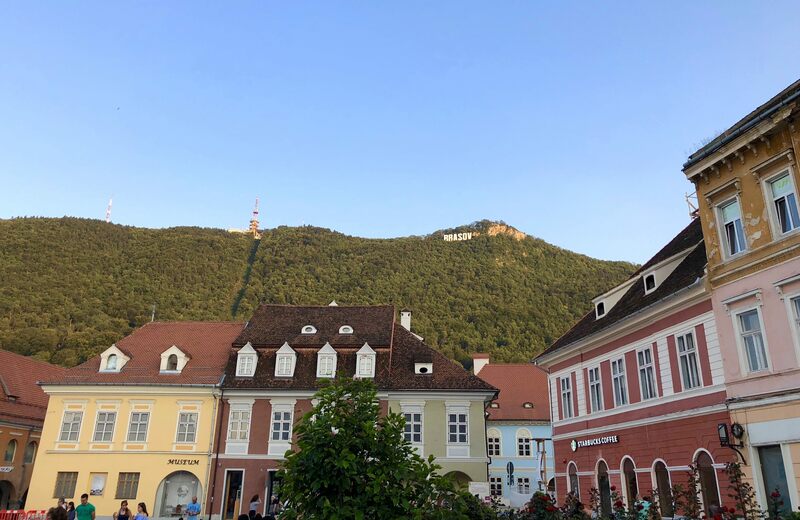 Views from the Brasov sign on Mount Tampa! 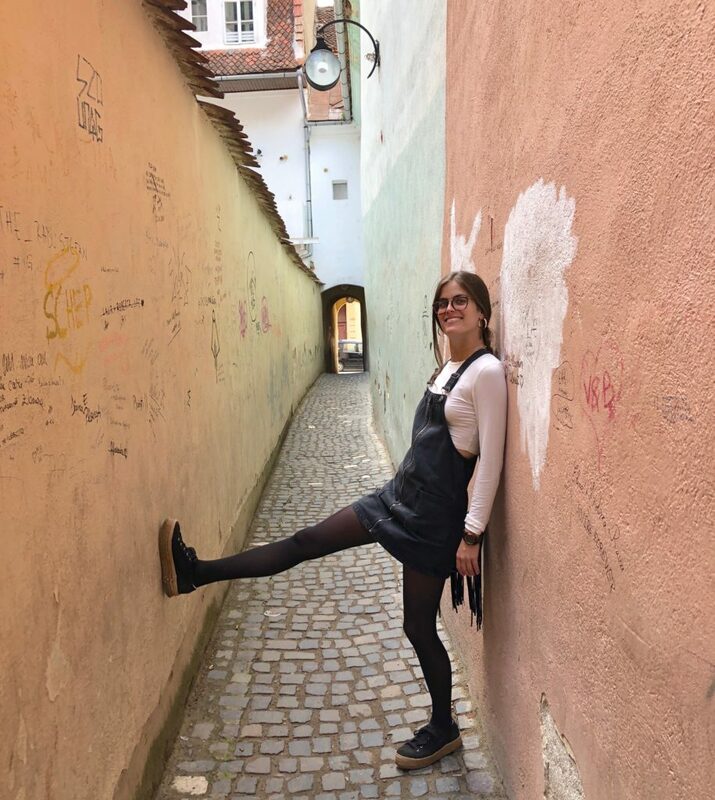 Rope Street – one of the narrowest streets in Europe! Enjoying some Romanian and Hungarian wine at Pilvax!